On Friday the Swiss Federal Roads Office (OFROU) issued a ban on the sale of certain models of Volkswagen cars in Switzerland. The ban covers all unsold cars that might have devices that can fool emissions tests. According to OFROU calculations, as many 180,000 vehicles might be affected. The ban includes Volkswagen, Audi, Skoda and Seat cars made between 2009 and 2014 with 1.2TDI, 1.6TDI and 2.0TDI diesel motors. Cars with Euro 6 emission category standards are not included, nor are cars already on the road. OFROU has set up a team to fully investigate the issue and identify exactly which cars are affected. Switzerland is the first country to issue such a ban. 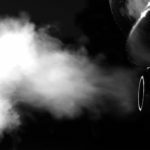 The scandal erupted earlier this month after a US investigation concluded the car maker had been using software designed to circumvent US emissions tests. The issue had been brewing for some time. The potential for manufacturers to cheat on emissions tests was raised by the European Commission’s Joint Research Centre in 2013. In a report they warned that equipment in some vehicles was able to detect the start of emissions tests. If testing can be detected then a device that manipulates the test could be used. Then in 2014 The independent body International Council on Clean Transportation (ICCT) warned of a “real world nitrogen oxides compliance issue” with modern diesel cars. 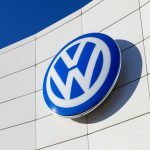 On 18 September 2015, the US Environmental Protection Agency served a notice on Volkswagen alleging they had used an emissions-compliance “defeat device” on some of their cars. 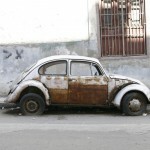 Finally, Volkswagen admitted wrongdoing and on 23 September the Group’s CEO Martin Winterkorn resigned. The company’s share price dropped 38% in 12 days. On 29 September 2015, Volkswagen announced a plan to refit diesel vehicles with EA 189 EU5 engines. Customers affected will be contacted by the company over the coming weeks and months. The company said around five million of a total eleven vehicles worldwide are affected. 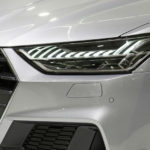 These vehicles from certain models and model years (such as the sixth generation Volkswagen Golf, the seventh generation Volkswagen Passat or the first generation Volkswagen Tiguan) are fitted with Type EA 189 diesel engines. Could the problem extend beyond VW? Another analysis released by the ICCT in September 2014 looked at the the gap between official laboratory-based test results and real-world fuel consumption and CO2 emissions for passenger cars in Europe. The study took data on more that half a million vehicles from a cross section of car makers and concluded that average real-world emissions were 38% higher in 2013 than those officially claimed by manufacturers. For an average consumer the gap translates into Euro 450 per year of extra fuel and more than halves the official CO2 reductions achieved over the last ten years. The report points out that nothing in its analysis suggests that manufacturers have done anything illegal. However, because the tests were not originally designed to measure fuel consumption or CO2 emissions, many elements can be exploited to influence test results and manufacturers appear to be taking advantage of the permitted flexibilities.